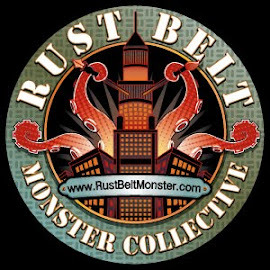 Rust Belt Monster Collective: King of the M.O.D.O.K.s! I suppose I'm some sort of M.O.D.O.K. fan, I certainly draw him enough . 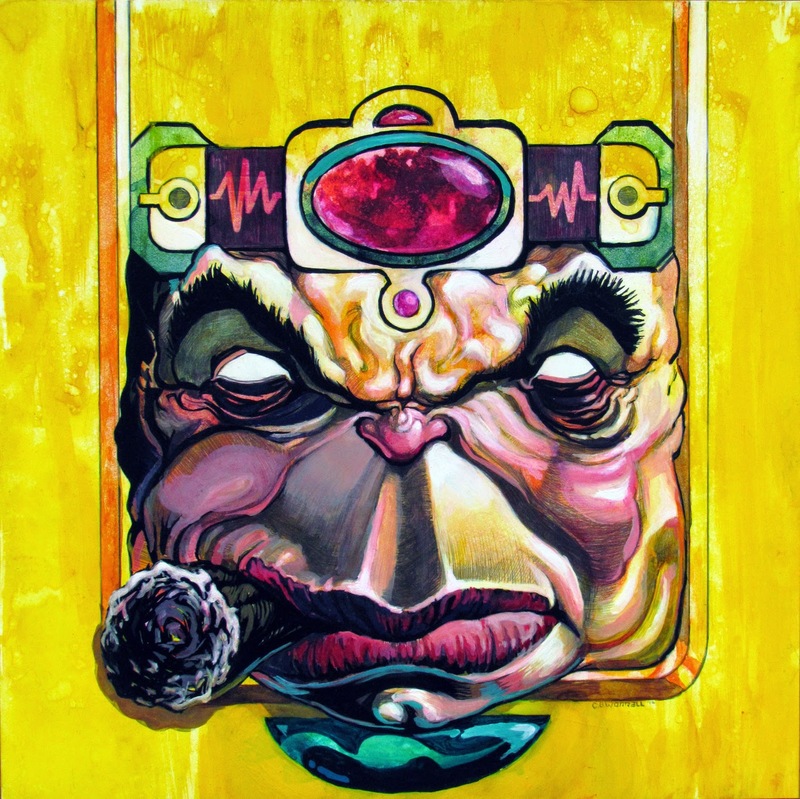 Here's my version of Thomas Edison as M.O.D.O.K. This version is no stranger to the mashup either. I started with Edward G. Robinson cause, he would be good cast as ol' M.O. , if her were alive, and mostly head. But anyway. In drawing I came across the idea that Edward G. and the King o' Comics, JACK KIRBY kind of look similar, at least a little bit and Kirby having been a cigar aficionado I added the cigar. The rest is graphite, watercolor acrylic and ink on clay board. If you are interested in seeing this and other AMAZING Marvel art come to Carol and John's Comics on Free Comic Book day AND Free Comic Book eve! See a show, get free comics, get a local Artist to draw something cool for you, come see the RUST BELT MONSTERS paint a mural that Saturday, Cos Play, EVERYTHING! Really the best place for FCBD in the Cleveland area! Prints of this and other pieces (as well as the pieces themselves) will be available for purchase at the FCBD show! !